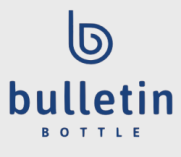 Bulletin Bottle offers a large variety of promotional water bottles printed with your message for branding projects, events, fundraisers, or resale. Because promotional water bottles are available at so many price points, and are so widely used, they’re the perfect compliment to any organization’s marketing efforts. When comparing water bottles, be sure to compare like materials and styles because there are a wide range of options within each material type. Before you firm up which promotional water bottle to purchase, take your artwork’s size and shape into consideration, as imprint areas vary greatly and this may dictate the best bottle for your needs. If you’re unsure, we can work with your needs, budget, and artwork to make bottle suggestions that are sure to be a hit for your project!